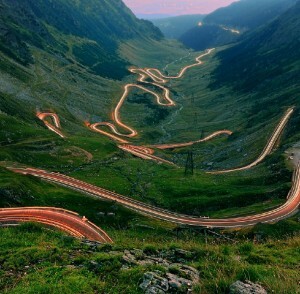 Traveling to Romania might be one of the most enjoyable vacations that you have done in quite some time. Many people do not realize that this country has a thriving metropolis, lots of entertaining things to do in the city, and in the surrounding countryside. Whether you decide to ride the Metro, drive a car, book a car rental in Bucharest or get a guided tour, you can have a lot of fun when you go to Romania. Here is an overview of the cities you should visit, and the many things you can do, when you decide to visit Romania this year. The first place that you should go is the capital of Romania which is called Bucharest. One of the reasons that you should start here is so that you can see how far Bucharest has come over the ages. It has been conquered and destroyed many times in history, only to emerge as a metropolis that has a very low unemployment rate and a very bustling economy. It is the financial powerhouse of the entire country, including a very diverse cultural scene. Whether you are into performing arts, nightlife at local bars, or you would like to see the Romanian Athenaeum, you won’t be bored in Bucharest. Herastrau Park is at the north side of the city of Bucharest, situated near Lake Herastrau. It’s only about a mile in diameter, a park that opened back in 1936. There is a natural zone, one that is less disturbed, and recreational areas with lots of activities. There is a Japanese garden, a beautiful steel wings Monument, and you can also take boats out onto the lake. Archaeological finds have uncovered ancient Greek coins which are highly valued and on display. You can also enjoy the fountain, and a variety of trees that are beautiful to see during the autumn months. Regardless of where you decide to go when you get to Romania, there are always things to see. Whether you go to Herastrau Park, the Palace of the Parliament, national museums, or taking a guided tour of the many places that Romania has to offer, it will be a place that you will not forget because of the culture, scenery, and metropolitan areas. Book your trip today, well in advance of when you want to go, and you will be able to do so for a very affordable price.